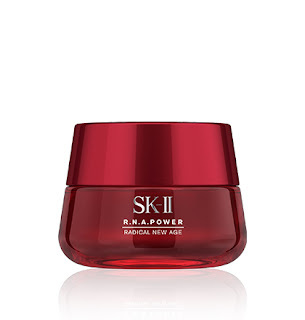 SK-II R.N.A.POWER RADICAL NEW AGE(50g / 80g/ 100g) - NEW!! R.N.A.POWER RADICAL NEW AGE brings you the next level of firmness - overflowing firmness - for a moist glowing look after 10 days*. In just one day, this moisturizing cream gives you firmness from every angle. In 10 days, signs of aging skin diminish so that skin becomes firmer, smoother, tighter, and more radiant. After one jar, fine lines appear less defined. Use in tandem with the essence to get the full effect of PITERA™ and Radical New Age Complex. Embrace a future of youthful beauty.